Sir David Brailsford had a difficult challenge ahead of him. The year is 2012 and the Olympic Games are on. The team he’s coaching, British Team Sky, has not won a single major cycling tournament since 1966. Far from discouraged, Brailsford approached the task by breaking down every single thing he could think of that goes into riding a bike and then improved it by one percent. The nutrition of riders, the pillows that cyclists slept on, the gel they used for their massages, the ergonomics of a bike seat, the weight of tires: Brailsford improved it all, just by a tiny bit. By putting all those 1% margins together, or by “aggregating marginal gains,” Brailsford ended up with a remarkable improvement. In 2012, Team Sky won Tour de France and went ahead to win two more. 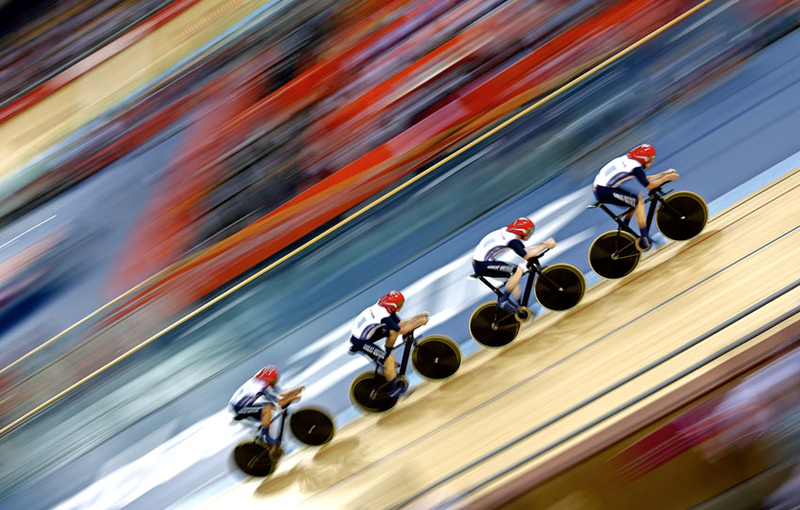 At the Games, it triumphed with 70% of the gold medals in cycling. Brailsford is a growth hacker. He proved that, instead of silver bullet, there is a handful of micro-, cost-effective and human-centered optimizations that he can scale today to create considerably more value down the proverbial cycling road. Airbnb, Uber, Instagram, Spotify, Warby Parker or WhatsApp have done the same thing. They uncovered untapped acquisition channels, iterated their features, stayed close to their customers and relentlessly optimized via a rigorous analytical approach. In the process, they achieved billion dollar valuations and aggregated massive audiences. The dizzyingly fast growth of these brands in acquiring, retaining and monetizing their customers has nothing to do with traditional marketing methods. It has everything to do with growth hacking. Growth hacking is iterative customer acquisition and retention strategy that sits at the intersection of product development and marketing. Coined by entrepreneur Sean Ellis back in 2010, growth hacking bakes marketing into the product by relying on social dynamics and network effects. Twitter’s “Suggested Users List” is an example. Described as “a bit like your local book store’s staff picks” by Biz Stone, one of the Twitter founders, suggested user list helps novices find interesting accounts to follow. The suggested accounts are filtered based on whether they are a good introduction to tweeting for a new user, does it have a wide and/or mainstream appeal and whether they are a celebrity or business. This simple micro-solution made early adoption of Twitter infinitely easier and spurred user base growth. Dropbox infused the “I get something if you get something” social dynamics. It gifted free 16 GB of storage space to those who referred their friends to the service, and this social dynamics of gifting has become a fundamental part of Dropbox’s use. Mailbox, a slick alternative to Gmail, created an insane demand by both super-slick interface and showing how many others are ahead of us on the wait list for the service. User acquisition, retention and referrals were here designed into the product experience architecture from a get-go. By simply using a product or service, users spread the word to their social graph. Referrals and mentions in the social graph then attract new users. This “use-awareness-use” loop powers a self-propelling engine for growth without a massive marketing budget. Still, there’s nothing that creates scale like network effects. To get enough users on board to create network effects, the most famous modern brands have all “piggybacked” on other, pre-existing social networks. They built upon the user base and interactions already happening out there. Airbnb very successfully piggybacked on Craigslist, which it used for its initial growth. By reverse engineering Craigslist posting process, Airbnb allowed its users “Post to Craigslist” feature that then drove traffic back to Airbnb. Paypal piggybacked on eBay and its vibrant world of transactions, by offering an efficient and convenient alternative to its “send check via mail” option existing at the time. Today, Paypal is the dominant way of payment on eBay. Instagram and Spotify piggybacked on Facebook and its massive resources. Every time we see a notification in our Facebook stream that our friends are listening to something on Spotify, that’s a free advertising for this music service. Snapchat and Whatsapp piggybacked on the phone book of everyone with a smartphone by seamlessly accessing our contact list and automatically importing it to their service. Piggybacking allowed these brands to avoid building network effects from scratch (think how long it took for a telephone or even Internet to achieve mass adoption). It also provided bigger returns on their existing investments, rather than forcing them to spend more on distribution. In the world of traditional marketing, massive spending on distribution used to compensate for sub-par products. Increasingly, not even the largest or the most creative product launches (think Super Bowl) can create scalable, repeatable and sustainable ways to grow the business if the product isn’t something with a good market fit. The hard lesson to learn from upstarts is that product matters as much as the promotion. This may be the single most important marketing innovation coming from those who have neither the marketing budgets nor its know-how. Instead, they have laser focus on creating products and services that compete not just on distribution strategy, but also on killer features that consumers must have. This “product plus distribution equals modern marketing” formula led Airbnb to become as much (or arguably more of) a force as Hilton. To successfully compete, legacy brands need to start hacking their own growth. The first step in this process is to understand that growth hacking is a mindset and methodology. As a mindset, it doesn’t belong to a specific department. Instead, it permeates marketing and sales, product development and design, data and analytics and customer service. As a methodology, growth hacking makes the most of the already available resources. So look around. Fall in love with data. Use it to test, monitor and optimize performance of all marketing actions, no matter how small. Adopt A/B testing. Familiarize yourself with usability testing, even if you are not in the UX. Become obsessed with customer journey and funnel conversions. Link every micro-action to a KPI, no matter how small. Then see how those micro-actions are ladder up to your end goal. Never forget that you are in the business of solving customer problems. Unwavering focus on customers and their behaviors is your starting point. Draft user experience flows and adopt user segmentation. Know how different users move through the experience you provide. Your work is always design-in-progress. Become comfortable with the constant mode of upgrades, improvements and tweaks of your features and designs. You are in the business of reinvention. Growth hacking is about tapping into a living and breathing ecosystem that nurtures cross-functional teams, collaboration, and internal and external resources and information platforms. As a marketing mindset and methodology, it has a massive potential to help us in creating scalable, repeatable and sustainable ways to grow our business in cost-effective way.